This was a great dish for the wok. 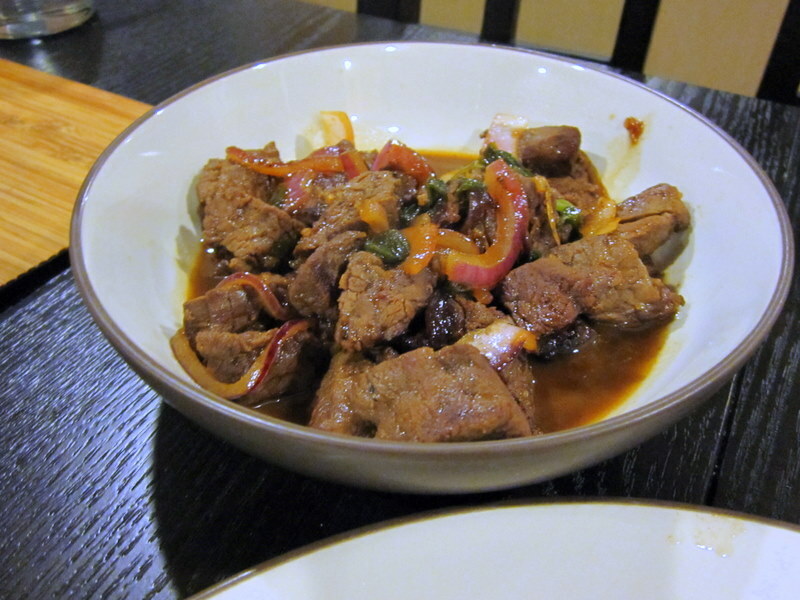 It wasn’t specifically described as a stir fry, but that’s how I made this Vietnamese beef dish from the May 2010 Food and Wine. The recipe is from Charles Phan, owner of The Slanted Door in San Francisco. I made this during the summer, but I love stir fries in the fall. On rainy, chilly nights, or when you have a cold. Like I have now, maybe that’s why I’ve been thinking about this one. In a bowl, toss the meat with 1/2 tablespoon of the sugar, 1 tablespoon of the oil and 1 teaspoon each of salt and pepper. Let stand at room temperature for 1 hour. In a small bowl, whisk the remaining 3 tablespoons of sugar with the soy sauce, fish sauce, vinegar and rice wine, if using. Heat a large skillet until very hot. Add the remaining 1/3 cup of oil and heat until smoking. Add the meat and cook over high heat undisturbed for 1 minute, until browned. Turn the meat and cook for 1 minute longer. Tilt the skillet and spoon off all but 1 tablespoon of the oil. 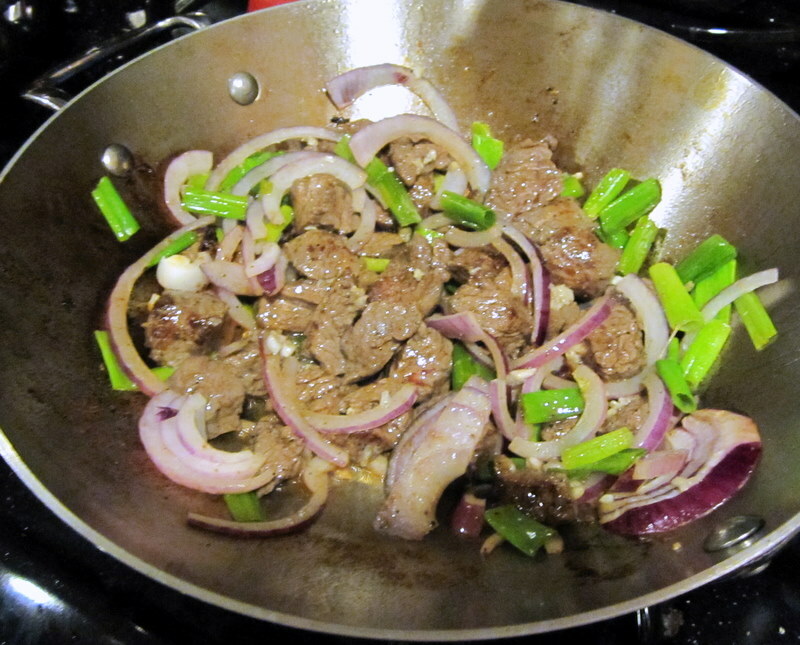 Scatter the scallions, onion and garlic over the meat and cook for 30 seconds. Stir the soy mixture and add it to the pan, shaking to coat the meat; bring to a boil. Add the butter and shake the pan until melted. Line a platter with watercress and pour the shaking beef and vegetables on top. Serve with lime wedges.